Customer Identity and Access Management (CIAM) is the foundation of digital transformation. Managing, governing and protecting customer identities without compromising digital customer experience is the main focus in CIAM. It needs deep customer insights to deliver personalized and engaged experience. Privacy is an integral part in digital relationship and privacy is the key element that build the trust. Right privacy management will reshape the CIMA strategy adding trust in to design. 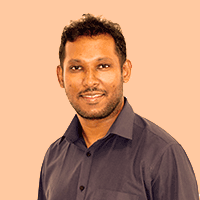 In this session, Sagara will talk about the role of the CIAM strategy in digital transformation, key components of a successful CIAM strategy and how privacy concerns should address on CIAM strategy. Sagara is a part of the team that spearheads WSO2’s architecture efforts related to identity & access management. He also oversees work on WSO2 Identity Server that helps enterprises become GDPR compliant and has written various helpful resources on how to meet the compliance deadline including best practices in Privacy. He specializes in J2EE, Spring, Web Service and enterprise integration related technologies. He is also a PMC member of Apache Axis and Apache Web Services Projects.